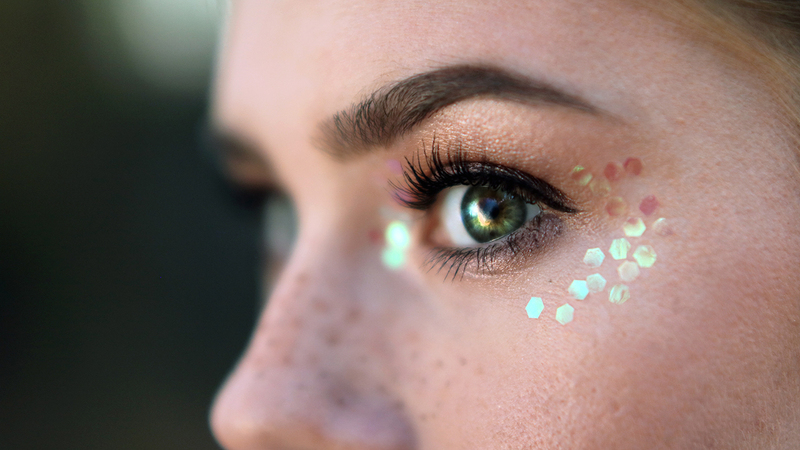 Music festival season is the perfect time of year to experiment with fun and glittery makeup! Festivals are all about being carefree and and expressing yourself, so they're a great time to be imaginative and inventive. 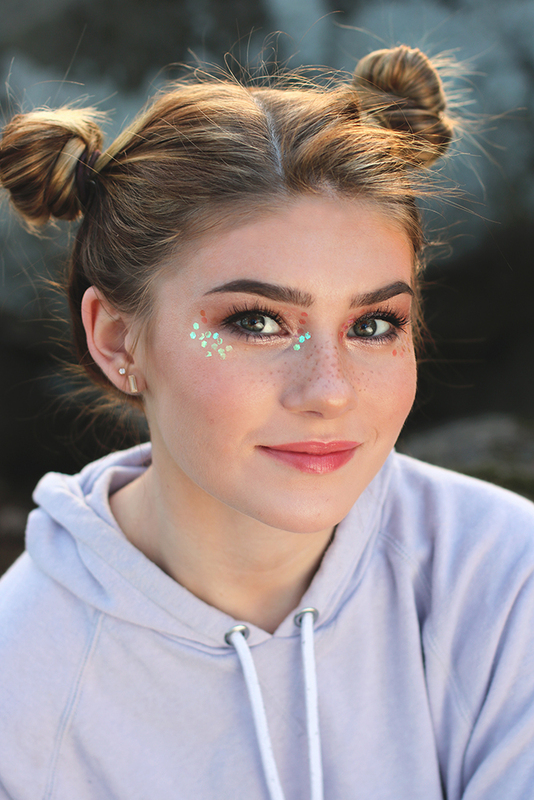 Whether you're headed to Coachella or not, hopefully this sparkly festival makeup tutorial will inspire you to think outside the box and get creative with your makeup! Don't forget the sunscreen! 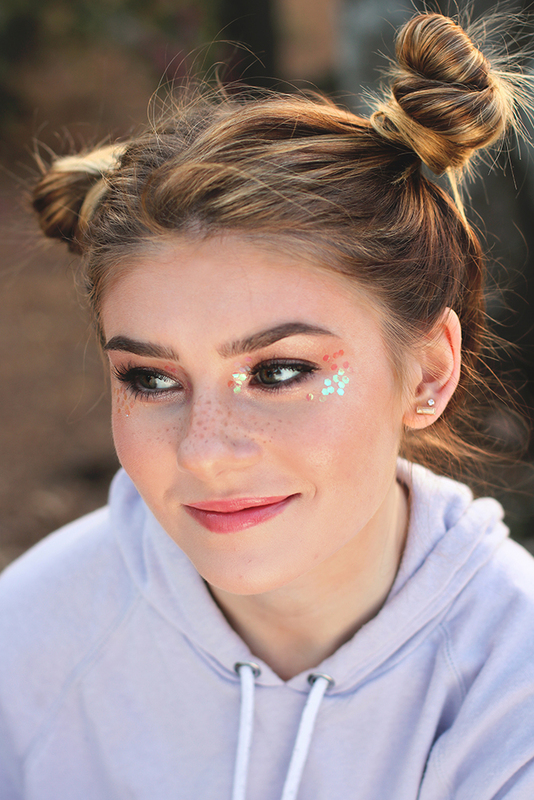 That's the most important part of a festival look because you'll be outside all day and into the night. Hope you like my festival makeup tutorial! If you want to see more like this, please let me know in the comments. They're really fun to do, so I could do them all day, every day. If you want to see another look that would be fun for festivals, this bright green eyeliner is one you might want to check out. I saw someone else do star sticker eye makeup today. 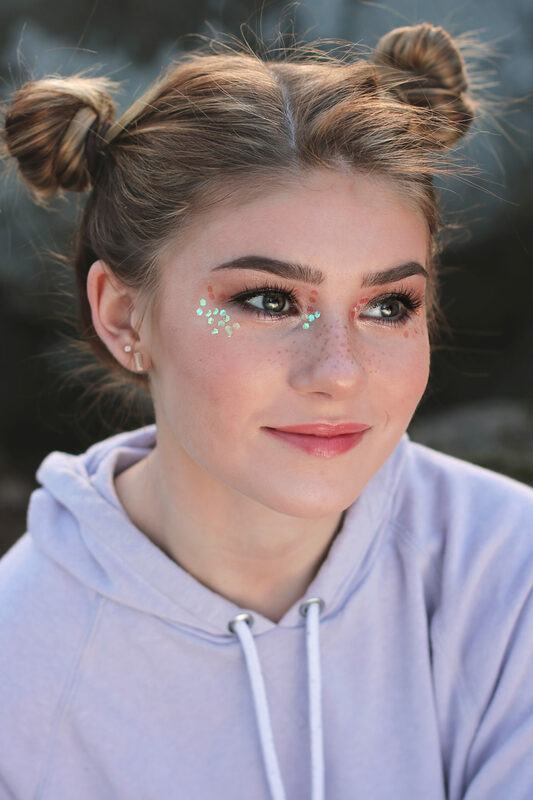 This is a really fun and cool festival makeup look!